As a DUI Attorney in Vancouver, WA Attorney Nick Wood has handled hundreds of Driving Under the Influence (DUI) cases throughout his career. The Law Office of Nicholas Wood, P.S. offers aggressive legal representation in a wide variety of criminal defense matters especially DUI/drunk driving. Unlike a lot of crimes, in my experience, DUIs are the type of crime that almost anyone and everyone in society can face. And quite frankly, I have represented pretty much anyone and everyone in the social and economic spectrum in DUI cases. 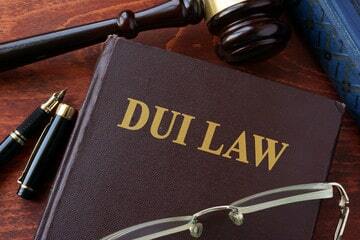 The common denominator for everyone who has faced a DUI case, regardless of their education, financial or family situation, was simply that they chose to consume alcohol (typically), drugs (much less frequently) or a combination of both (the rarest example), and then they chose to get behind the wheel and drive. Fortunately, the government has to prove much more than that to convict someone of DUI, but the process and headache of fighting a DUI just takes that simple set of circumstances to begin the “battle with the government”. Moreover, fighting a DUI can take a large toll on an individual both emotionally and financially. The consequences for a DUI conviction can be severe, even for a first offense. If convicted of DUI, you will lose your license, have to install/drive with an ignition interlock device for a period of time in any vehicle you drive, pay significant fines, attend classes, be on probation (up to five years) and face jail time. The consequences multiply dramatically if you have prior convictions, depending on when those priors occurred. Also, having a DUI conviction can place limitations on your employment options and ability to work your normal schedule, as you may have to find alternative transportation arrangements because of the license suspension. In short, because of all the consequences a DUI can have on your life, you need an experience and skilled advocate to put you in the best situation possible. An advocate who understands what it takes to establish a DUI case for the government. DUIs in most cases start with a law enforcement officer deciding to pull over someone for some reason. So the first legal question to evaluate is did the law enforcement officer have a justifiable reason to pull you over? From there, depending on the interactions, the next legal question is did the law enforcement officer have a legal justification to investigate you for DUI? Other important legal questions are: Did the officer adequately inform you of your right to take or refuse field sobriety test, preliminary breath test or both? Did the officer essentially direct you to take those tests without giving you a choice? Did the officer appropriately explain the Field Sobriety Tests to you? Did the officer demonstrate the Field Sobriety Tests to you? Did the officer give you the appropriate warnings regarding taking a Preliminary Breath Test? Did the officer have enough to justify the arrest for DUI? Did the officer read you your Miranda warnings upon being arrested? Did the officer properly explain your implied consent warnings? Did the officer properly ensure your mouth was free of foreign substances as required by WA law? Did the officer wait the required period of time before offering you a breath test? Did the officer, in fact, give you an opportunity to take a breath test? Did the officer decide to get a search warrant for your blood? If so, was there probable cause to justify the search warrant for your blood? Contact me today for a free DUI case consultation, and we can discuss all of these issues together.